JACKSONVILLE, Fla. — Here's to a gutsy woman with a voice! Beatrice Darden can captivate a room singing a cappella. Now, she has a new song called, "Cancer, You Have To GO!" She's turned the song into a music video with other talented musicians in Jacksonville. Darden says her faith in God is strong, and she sees music as part of her work to help lift up those around her. "I believe singing is a source of healing," she said. Beatrice and Jeannie met years ago at a Buddy Check event. Now Beatrice is writing music to help Jeannie with her Buddy Bus campaign. 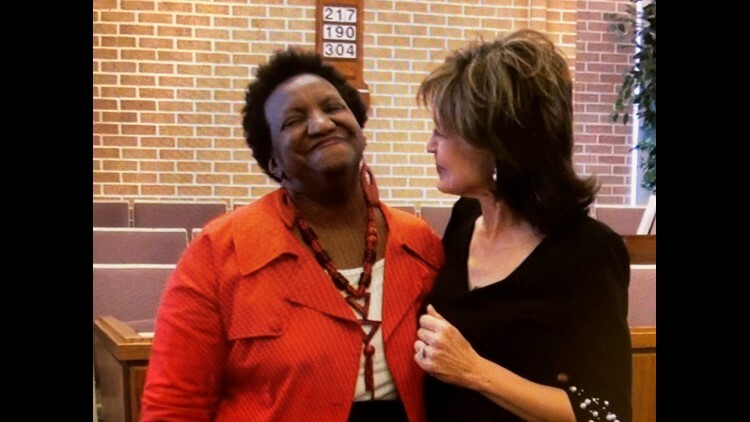 Her friend, Carolyn Spooner, former Mayor of Starke, Florida, is part of the music project. She said, "That song is actually a ministry to the body." Spooner fought breast cancer in both of her breasts. Darden plans to donate the proceeds of her music towards the Buddy Bus. First Coast News and Baptist/MD Anderson are raising a million dollars to purchase a bright pink mobile mammography unit. 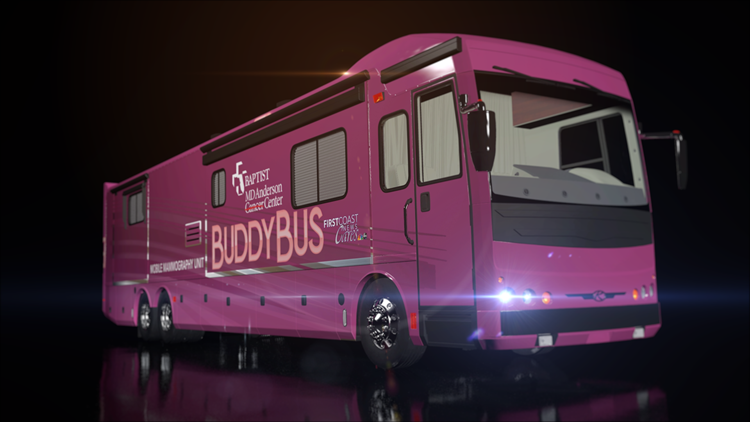 The Buddy Bus will serve six local counties in NE Florida. It costs a million dollars to purchase. So far the campaign has raised just under 50% of that.